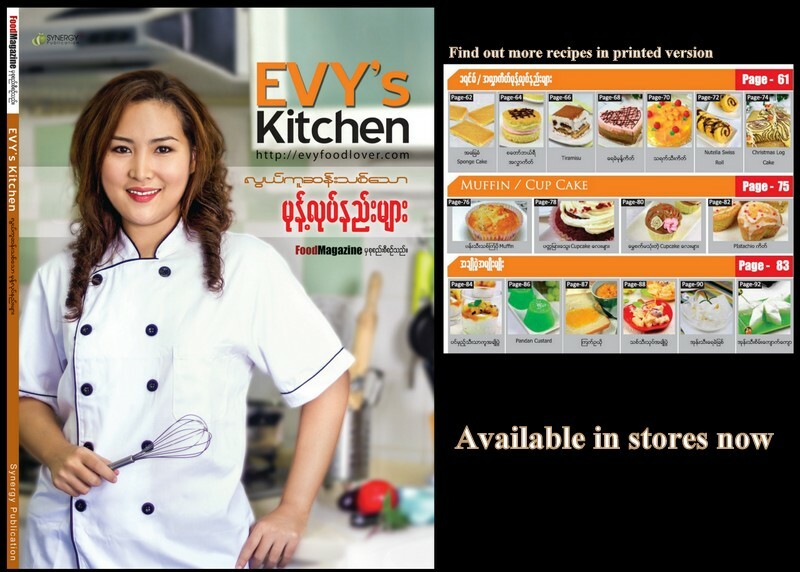 Where would I purchase your cooking book if I live outside of Myanmar? I now live in California with no clue of how to cook or bake or fry. Please help. Thank you Evy. I will contact Food magazine via Facebook as you instructed me to do so.